Dr.Sunanda Nair is the first student in the country to have a Masters degree in Mohini Attam from Nalanda Nritya Kala Mahavidyalaya affiliated to the University of Mumbai. She has cleared the necessary net exams demanded by the University. She has completed her PhD from Bombay University for her thesis "Intrinsic Lyrical Feminism in Mohiniattam"
She has been a Mohini Attam lecturer at her alma mater for 9 years. Kalashree Dr.Sunanda Nair, is one the leading exponents of Mohini Attam in the country today. She is the disciple of the noted Mohini Aattam exponent Padmabhushan Dr.(Smt.) Kanak Rele who is responsible for the structured growth and establishing this art form as a classical dance style. Vastly gifted with an attractive demeanour suitable for this form of dancing, Sunanda indeed casts a spell on her onlookers while performing. She exudes vitality, warmth and endows her dance with an added dimension, and she enchants the initiated and the uninitiated alike. It is her ability to infuse beauty in whatever she creates and give joyousness to her movements and expressions that set her apart from other practitioners. The movements are full of life and endowed with sensitive lyricism. Sunanda is the first student in India to earn a Masters degree in Dance, Mohini Attam which she did from Nalanda Nritya Kala Mahavidyalay affiliated to the University of Mumbai where she prepared for her vocation both as a professional dancer and a teacher of dance, through rich and multifaceted experiences in higher academics, stage performances, classroom instruction and choreography. 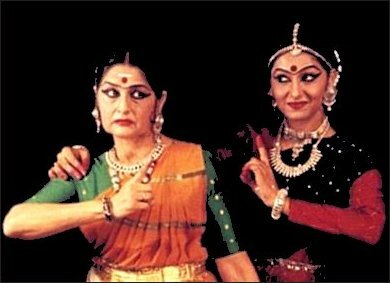 • Ph.D in Dance (Mohini Attam): Research thesis in Mohini Attam titled "The Intrinsic Lyrical Feminism in Mohini Attam", University of Mumbai September 2016, under the guidance of Padmabhushan Dr. Kanak Rele. Sunanda has been a part of many very reputed national and international festivals, and has won high acclaim from critics and connoisseurs of dance for her impressive dancing skills.